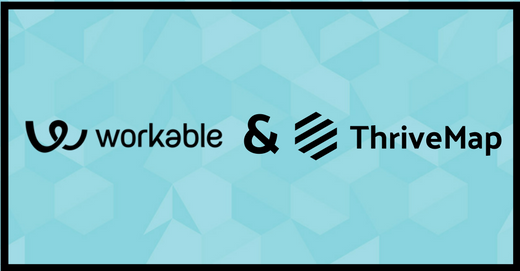 ThriveMap are delighted to announce that they are now fully integrated with Workable, allowing you to send culture fit surveys straight from your ATS! ThriveMap helps organisations make more informed and successful hiring decisions, by measuring culture fit between candidates and teams. 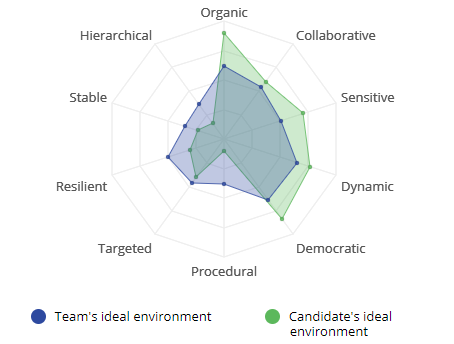 While other assessments focus on who people are (personality), ThriveMap measures the environment in which individuals work best in and compares this to the team culture they’d be joining. Diversity of ideas, backgrounds and personalities is important in teams that’s why ThriveMap measures working styles and not personality types or values. ThriveMap measures ‘Person-Environment fit’; the key factors that influence whether someone feels like they are working in an environment that supports how they like to work, such as how things get done and how people interact. If you have a team that works in a specific way, bringing a candidate into the team who prefers to works in an opposing way can cause problems for the new hire, the manager and the existing team. Irrespective of personality or background, ThriveMap will predict how well someone’s preferences match the team culture. For homogenous roles, it can be useful to compare candidates to the workstyle preferences of the best people. Often managers want to shake things up, or change the culture in some way. If they were to hire more people like the ones they already had, they could run a risk of perpetuating a “stale” culture. In these situations, managers will set out the culture they desire, in order to hire people who will shift the culture towards this ideal. The integration with Workable means that companies can now assess candidates straight from their ATS. Interested in seeing how it works? Book a demo now!